Lucia Vitiello was born May 5, 1893, in Naples, Italy. 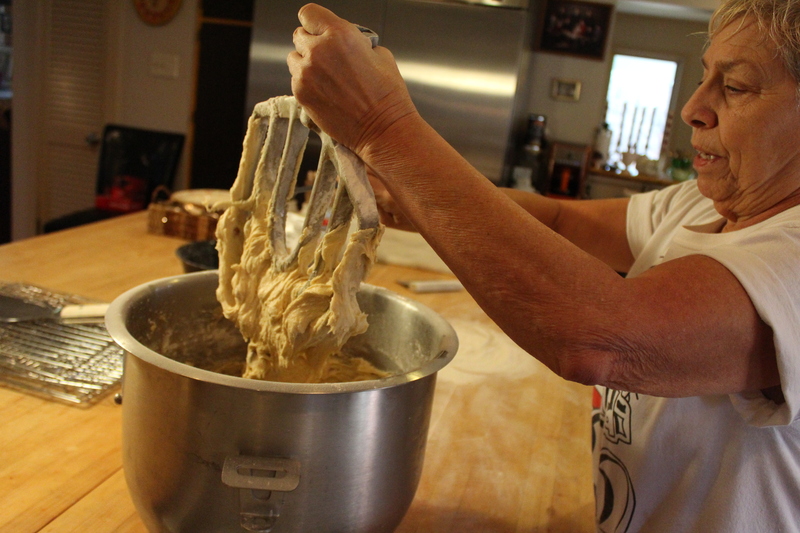 She emigrated to the United States as a young child with her family, bringing recipes and traditions which carry on today, including this biscotti recipe. Story goes that this recipe was originally her father’s, a man she idolized. 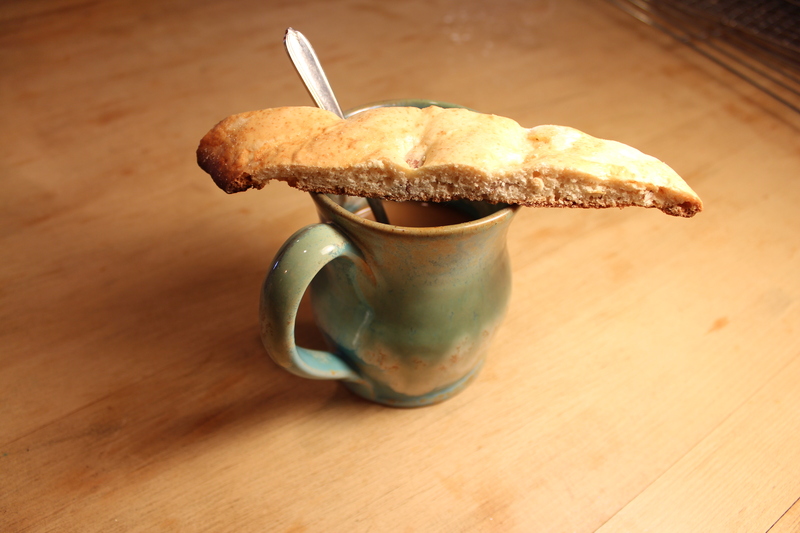 My growing up memory of the biscotti – other than the few times with Old Nonnie – was of my mother and Aunt Dot making it. Though we were generally shoo’d from the kitchen during it’s production (you sensing a theme here? ), after so many years, a person picks up on a few things. That’s why it was so surprising that when I sat down and actually thought about it, I realized that I probably couldn’t replicate this recipe. Easily fixed! I called Aunt Dot who was ever so glad to have us over for a lesson. Aunt Dot has invited folks over the years and last year even had a Skype lesson with Roman and his friend Jeremy. This wasn’t her first rodeo so everything was ready when we got there, even a tasty lunch bubbling on the stove. Heaven! The lesson was both photographed and videotaped. Please note this is my very first time with a video camera and I sometimes got a little … inattentive … Let’s just call this one “artistic” and carry on. Fortunately, Stephanie’s step-by-step photographs are both wonderful and useful. Aunt Dot has given me, and I have linked below, the 1996 iteration of the recipe as she and Bunny (my mother) were making it then. It has since changed and what you get from me is the current version which, as technology allows (so sayeth Dorothy), will change with the times. 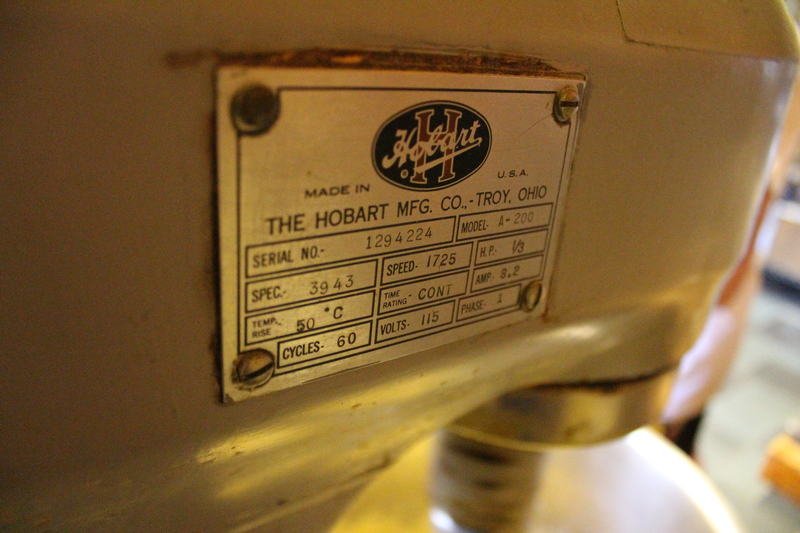 Please do not be scared of the MONSTA aka the Hobart Mixer on steroids. 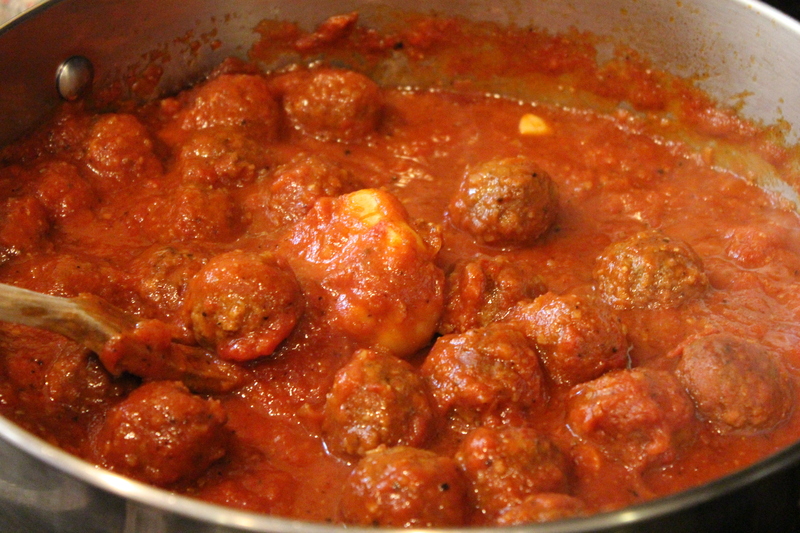 This recipe is easily halved and, as Aunt Dot pointed out with some great measure of pride, she and Bunny started out making this recipe in a baby bathtub almost fifty years ago BY HAND. Not a half recipe …a whole recipe. So, please fear not It is a forgiving and easy to work with dough and it will fill your home with the most heavenly scent of Christmas and tradition and warmth and family. Enjoy! First, for fun … step-by-step! Start by prepping all of your ingredients. Pan prep is necessary to keep the biscotti from sticking. Aunt Dot uses both non-stick spray and butter before dusting with flour and knocking off all of the excess. 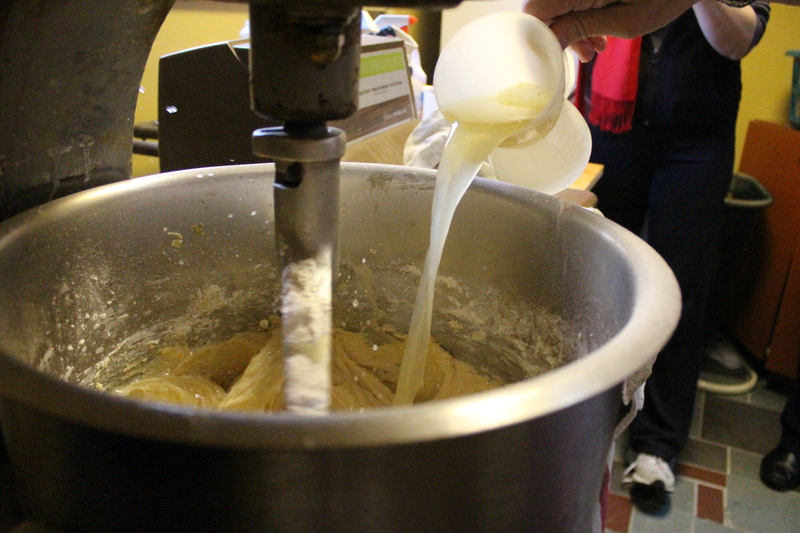 Combine the butter and sugar in the mixer. Add the anise oil and vanilla. Beat together (aka cream) for 15 minutes, scraping the sides and bottom occasionally. Slowly add the combined eggs and lemon ZEST to the creamed mixture at medium speed. As each addition is incorporated, add more – an egg or two at a time. Continue to scrape down the sides and beat until the mixture looks like the one on the right – thin and slightly granular but not lumpy. 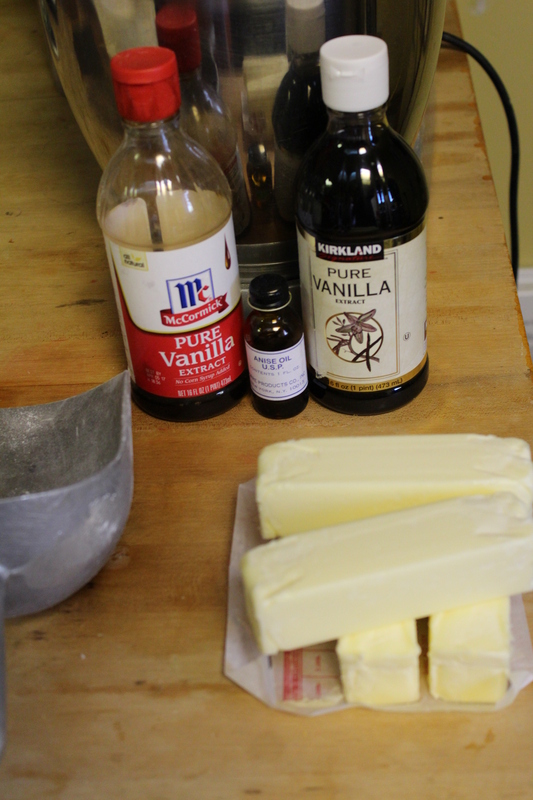 Give the flour, baking powder and salt a good whisk and begin adding to the butter mixture a scoop at a time. This should be done on a slow speed to avoid a flour cloud, a prospect, when combined with the Monsta’s size and power, had our photographer ever so slightly nervous. 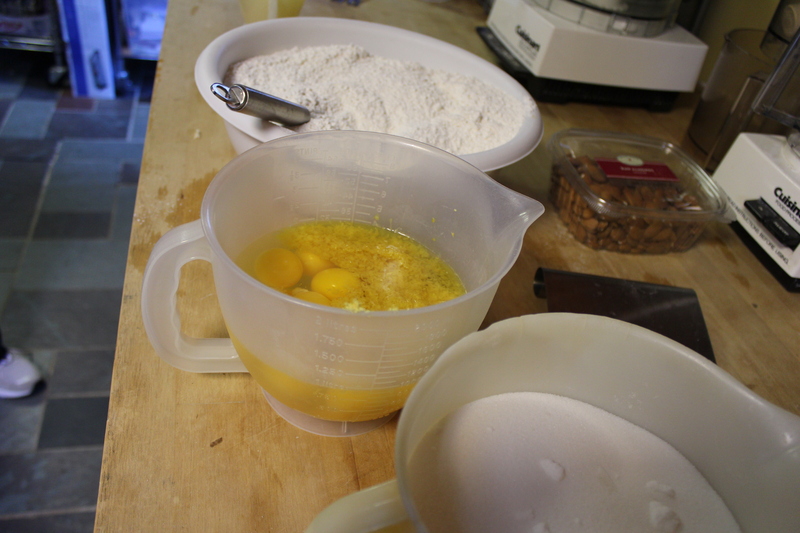 When about half of the flour is in, add the lemon juice. 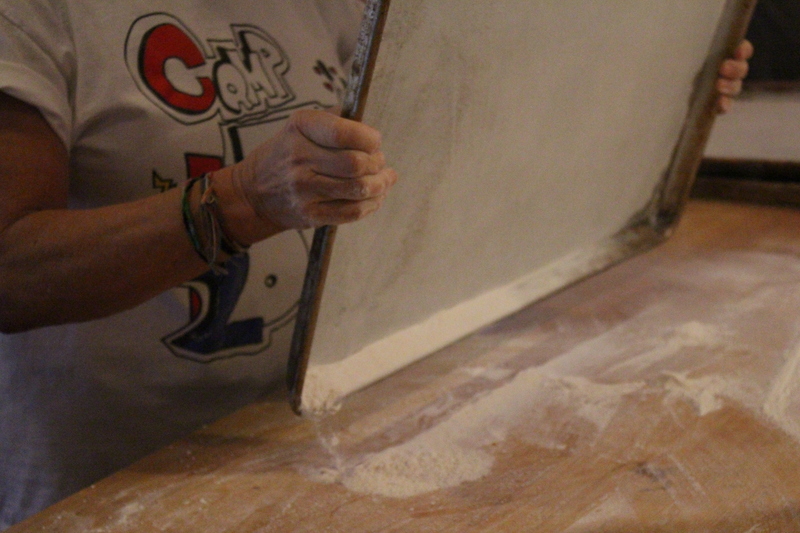 Scrape the bowl and continue with the flour, a scoop at a time. SAVE one cup of the flour to mix with …. … the almonds. Mix this into the biscotti batter. You are looking for a soft batter but not wet. Better to add too little flour because you will add more when rolling the dough out. Lug the bowl to the counter for the rolling phase. We are talking about 15 pounds of ingredients and equipment … be afraid. Be very afraid. 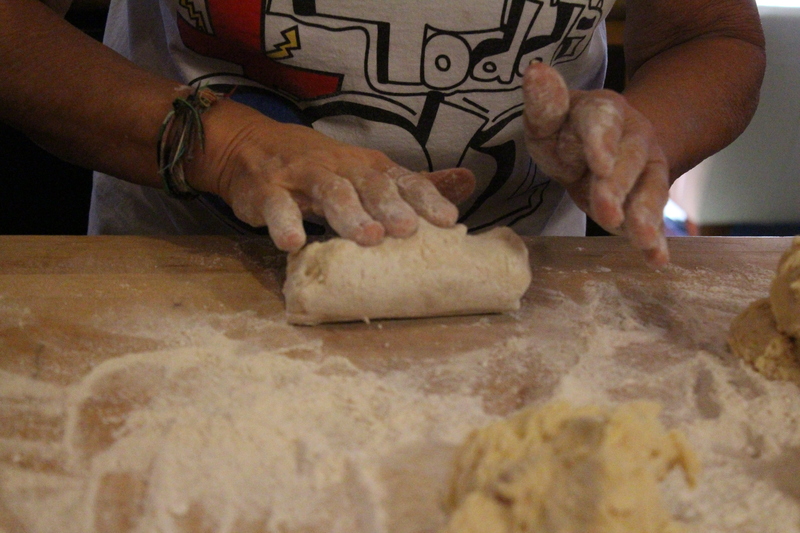 Plop the dough on to a well-floured counter and roll into logs. The size will depend on your pans so leave plenty of room side-to-side (about 6 inches for each roll) and about 3 inches on each end. 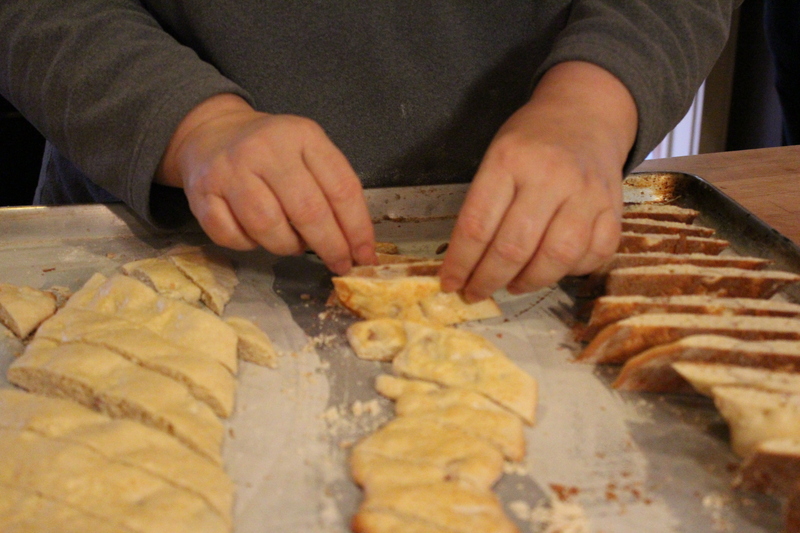 Novice biscotti maker Lisa, sister of Dot, tries her hand at biscotti rolling. It is a deceptively soft dough and doesn’t take kindly to the masseuse method of rolling. It is, however, very forgiving in the end. They all tasted wonderful! 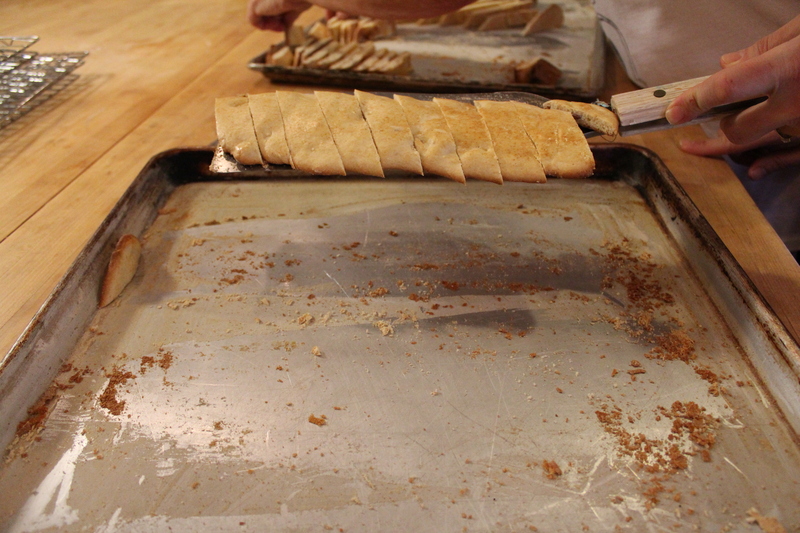 The biscotti has to be patted out to the thickness of the nuts on a parchment-lined baking sheet. Pat in the opposite direction to remove the ridges and then brush with the egg wash.
Bake until puffy and pale golden. The recipe calls for 20 minutes to get to this point. Above right is 20 minutes … still needed another 15. Be zen about it… add about 5 minutes at a time, turn the pans… you’ll eventually reach pale golden. When the biscotti slabs come out of the oven, use a spatula to loosen from the pan to prevent sticking. Then cut the slabs on the bias with a pizza cutter. 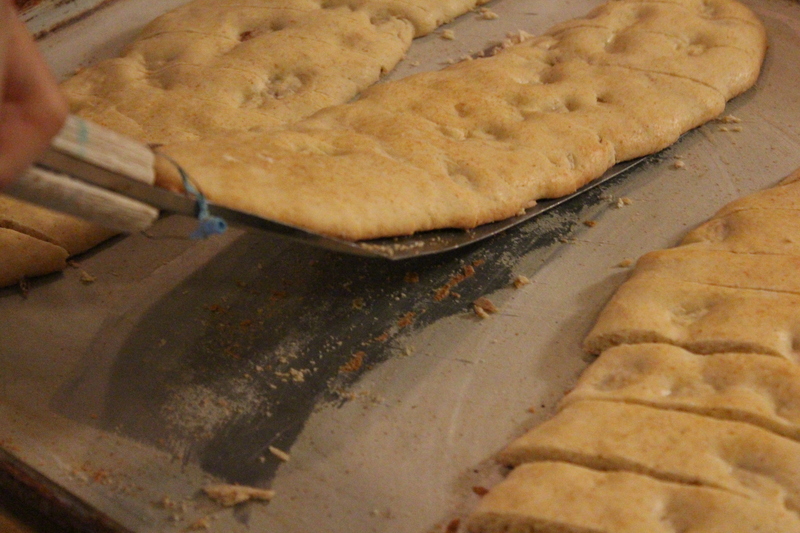 Once the biscotti has been cut, it needs to be put on its side for a second bake. The slices can be tucked pretty close to one another for this bake phase. Look at Lisa now! 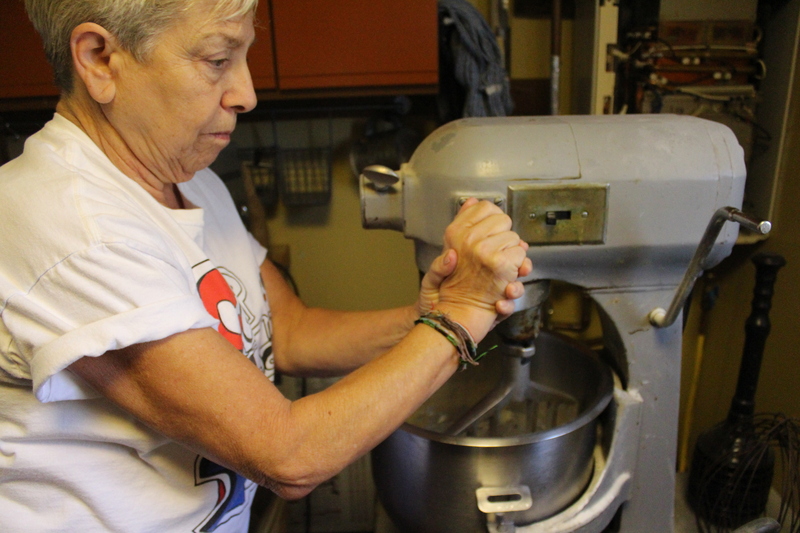 She’s become an old pro at this biscotti business. Once the biscotti is all laid on its side, it goes back into the oven for a second bake – about 20 minutes or until the color that you like. Some folks like the very light biscotti. Others don’t mind it bordering on over-dark (one might call it burnt but that might seem rude). Please see my note in the recipe about Aunt Dot’s overnight pilot light method. Lunch break! Meatball sandwiches and a potato leek soup. Yummmm. Finally, once the biscotti has cooled overnight, it gets lovingly placed into carefully packaged gift boxes … pffft. Long about this time of year (late December), if you see Aunt Dot coming with a nondescript plastic bag wafting an anise-rich, almond aroma, just smile and say thank you! 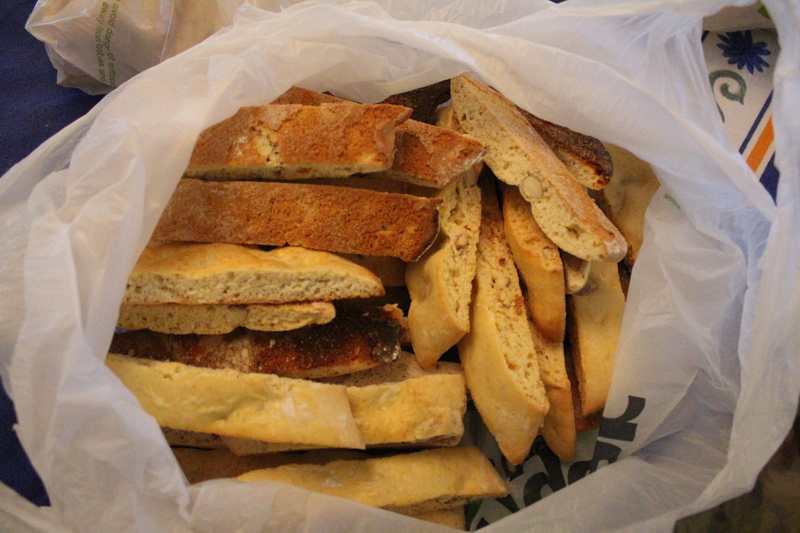 As of this morning, Aunt Dot has completed her fourth batch of biscotti. I think her calling in life is to create a biscotti Pavlovian drool response in as many people as possible. She’s making quite a dent in this corner of the world. 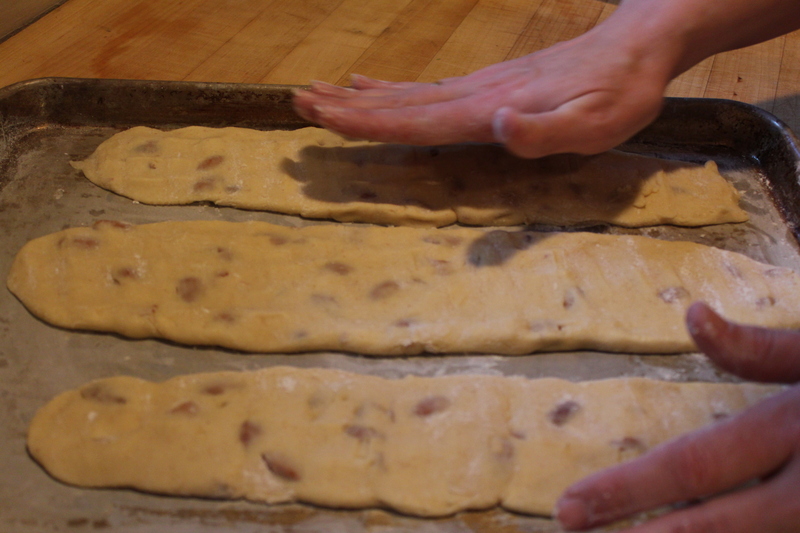 Our day of biscotti-making is now a YouTube video series. Enjoy! RECIPE PREP: Crack the eggs into a bowl and add the lemon ZEST. 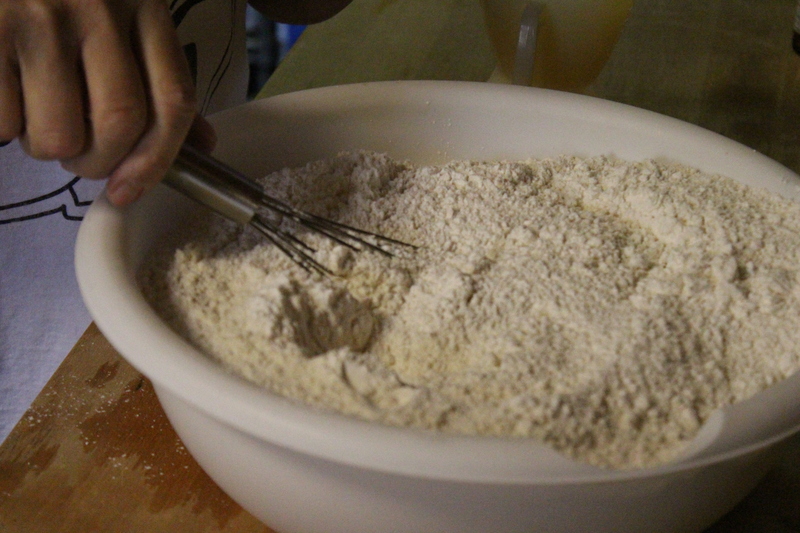 In another bowl, whisk together the flour, baking powder and salt. Prepare the egg wash.
PAN PREP: Spray heavy duty baking sheets with non-stick spray, rub with butter (used the wrappers from the recipe) and dust with flour, knocking off all the excess. Keep this excess to roll the biscotti logs out. UPDATE 12/2017: Aunt Dot has asked me to update pan prep to say that she now simply lines the baking sheets with baking parchment. Feel free to continue old school but parchment can be reused through the entire batch of biscotti dough. Combine the butter and sugar. Add the anise oil and vanilla. Cream together for 15 minutes. Scrape the bowl often; the mixture will be light and fluffy. Add the eggs one at a time. Continue to scrape the bowl often. Add the lemon juice. 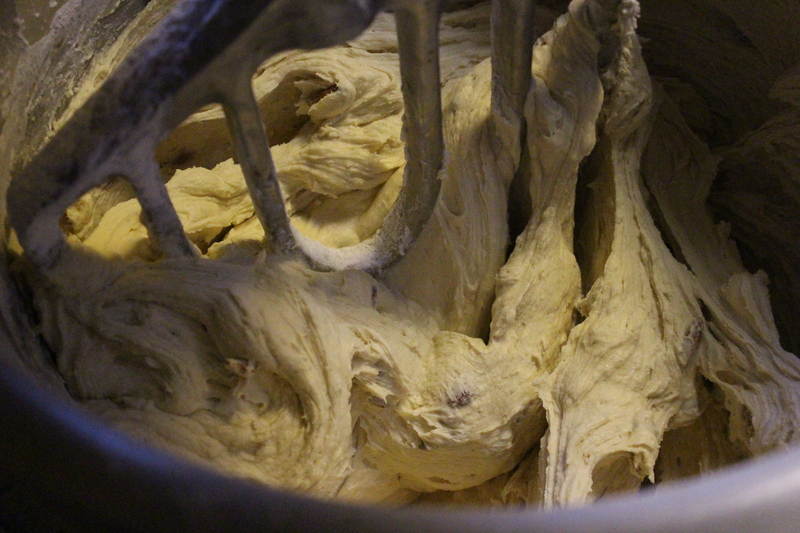 With the mixer on low speed, begin adding the flour, a large scoop at a time. Continue to scrape down the sides. 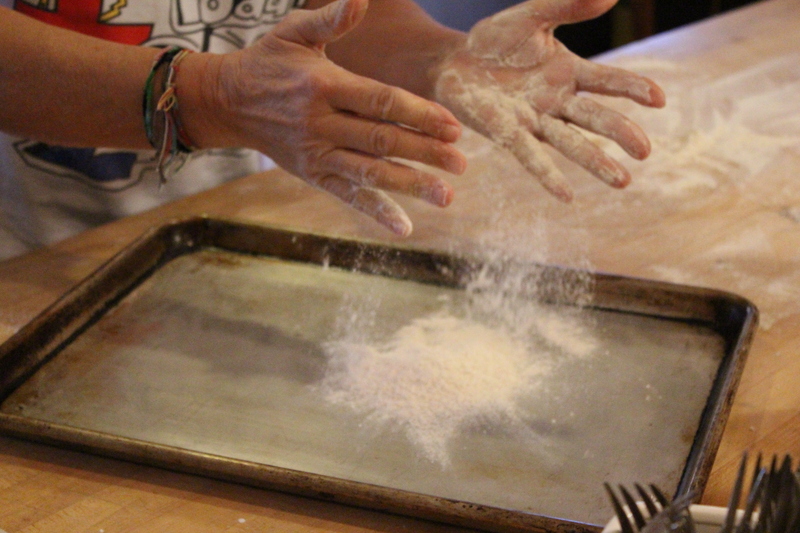 When there is about a cup or so of flour left, add the almonds to the flour and toss to coat. Add this to the batter and mix to combine. If the dough is too wet, add a cup or so of extra flour but don’t make it dry. This is a very soft dough. 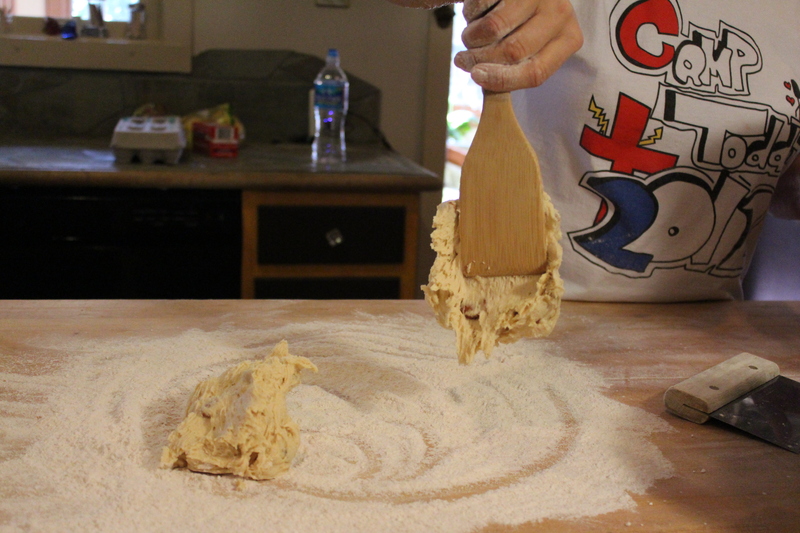 Remove the bowl from the mixer and scoop about 1 cup of the dough at a time onto a floured counter. 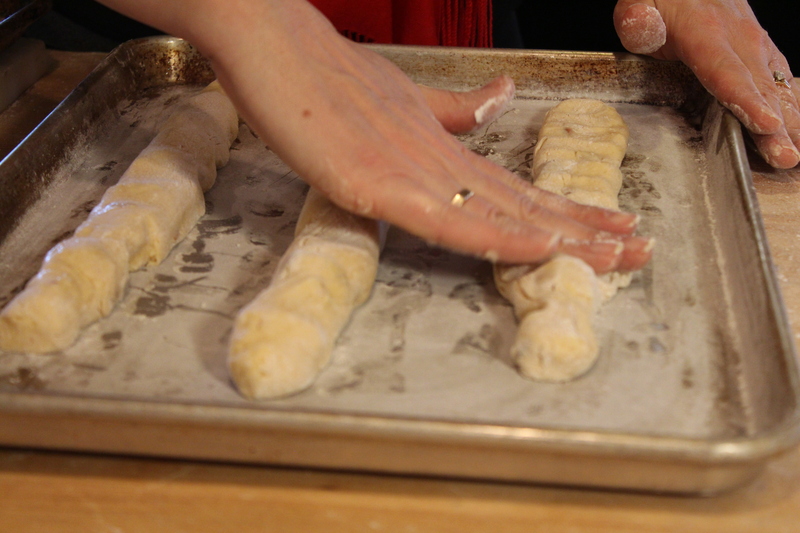 Roll the dough into a log about 2 inches in diameter and about 2/3 the length of your baking sheet. 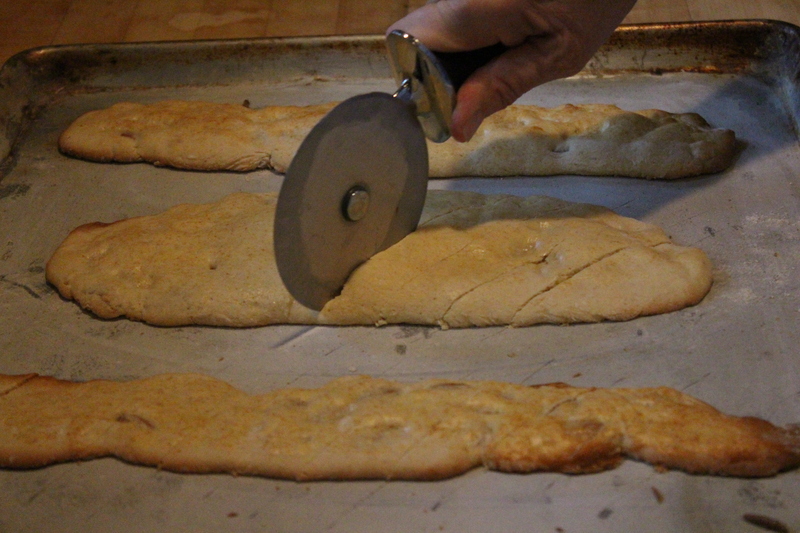 Transfer the dough roll onto the pan, giving each roll about 6 inches of space. Pat the rolls along the length of the roll so that it is the thickness of the nuts. 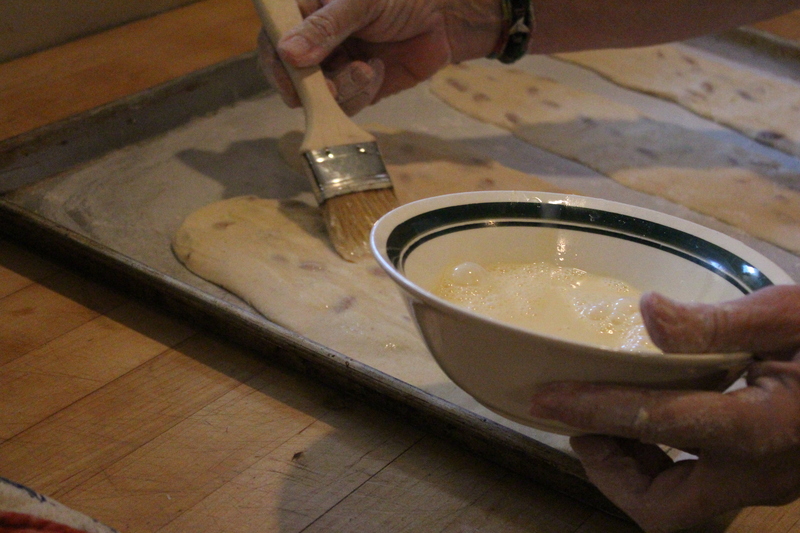 This will leave ridges on the dough which then need to be patted out to a smooth flat dough. 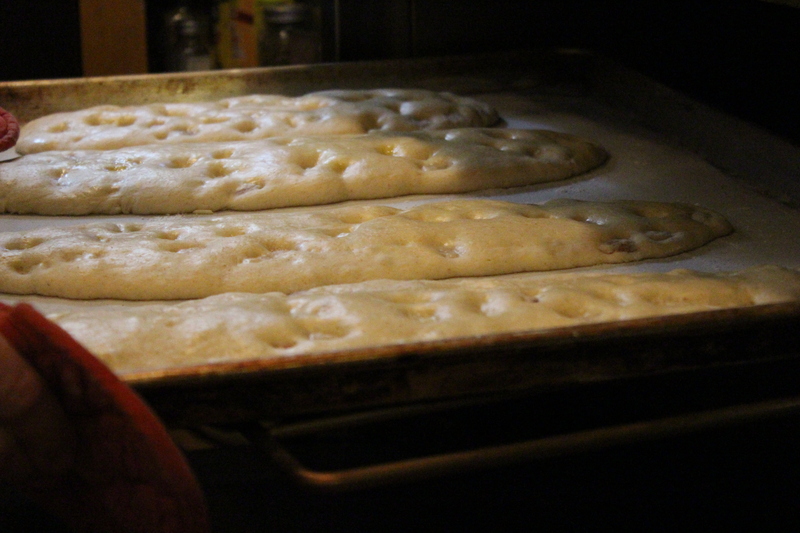 Brush each slab of dough with the egg wash. Be careful not to get drips onto the pan which will burn. Bake at 350 for about 20 minutes until pale golden. If not pale golden, add 5 minutes at a time until pale golden only. 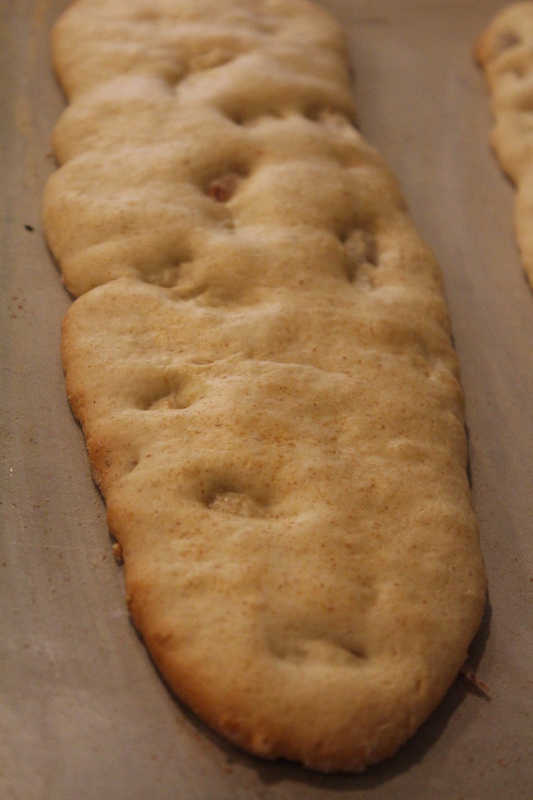 Remove the pans from the oven and slide the biscotti slabs with a large spatula to release from the pan. 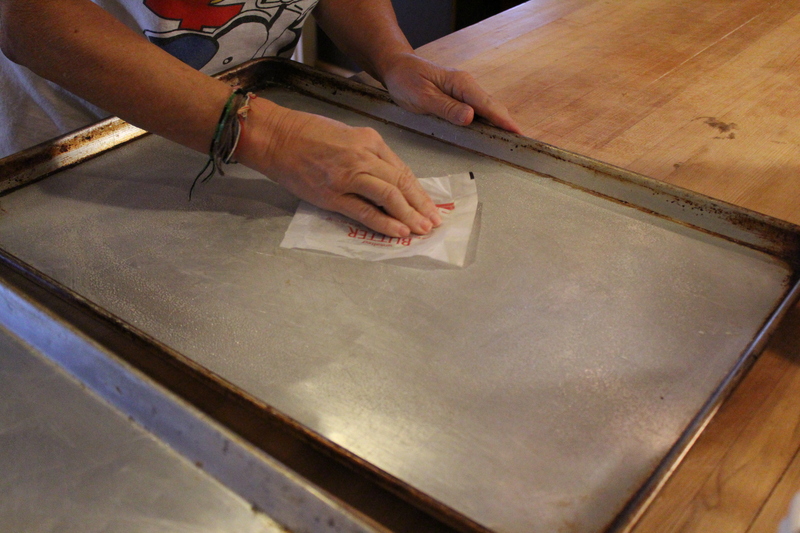 Cut on the bias with a pizza wheel and lay them on their sides, they can be close together to consolidate pans. Bake an additional 20 minutes or until light golden brown, adding 5 minutes at a time until your desired color. Remove to a cooling rack and cool overnight. Store in a cool dry place. NOTE: If you have a gas stove with a pilot light, you can turn off the oven after the initial cooking phase and return the sliced, consolidated biscotti to the warm oven overnight. Aunt Dot swears by this newest method. This entry was posted in Cookies and tagged almond, anise, Aunt Dot, biscotti, Christmas, coffee, cookie, Easter, family tradition, lemon, Nonnie, vegetarian, vin santo. Bookmark the permalink.